Not to mention LOTR and the Hobbit, where there's also a bag end! It's a pattern! Nah, it's the sword from Merlin, see? M for merlin, super for... it's a super drawing? D'oh, the people skill banner. 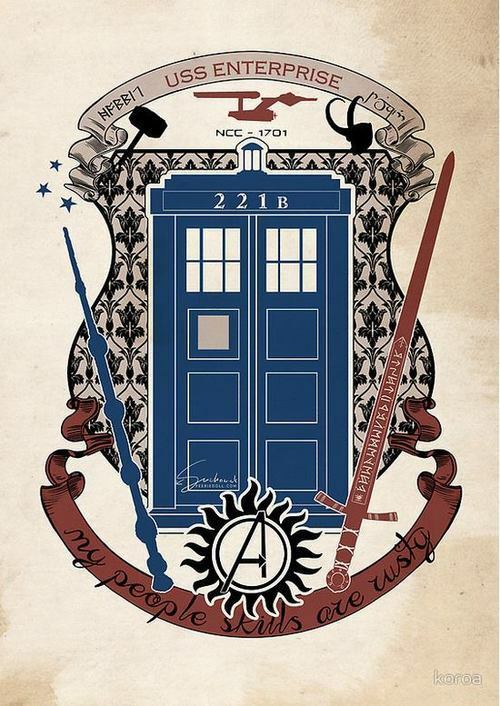 Not overly familiar with supernatural, but I have seen a few episodes. I saw an ep of Robin Hood (bbc), but didn't like it. So I was a bit surprised when I fell so badly for Merlin. i wanna watch merlin and supernatural..
That's what they call post traumatic stress, yeah? Dexter is great too, but I can't see myself writing fanfic for it. That makes sense. I was wondering what the Cirth/Tengwar looking letters on the top banner were if the sword was Anduril. Thanks! The guy i work with recomended dexter to me. I told u guys, it seems to be Tolkien, althogh it's not correct. Norc wrote: I told u guys, it seems to be Tolkien, althogh it's not correct. 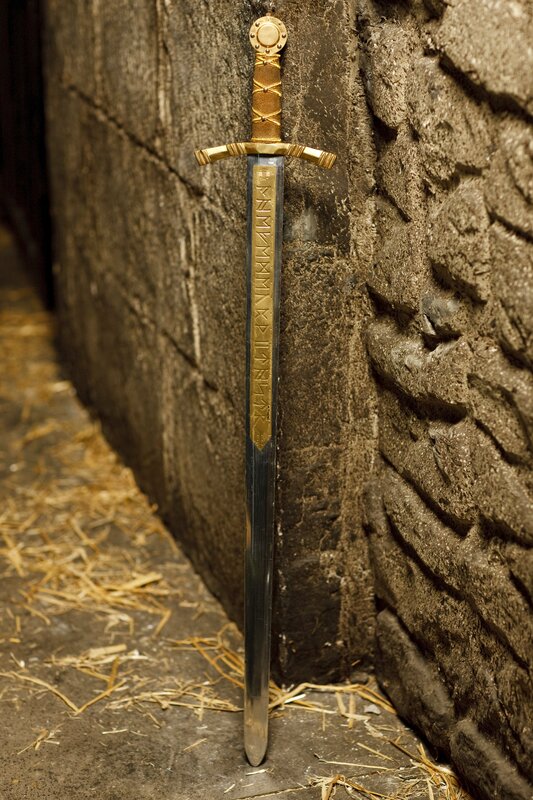 Yeah, I got that, but when I thought the sword was Anduril it seemed weird to have two Tolkien references on there. Norc wrote: The guy i work with recomended dexter to me. It's not a bad show, and the first season or few are quite entertaining, but the more recent stuff is pretty bad. I wouldn't call it great, but I do really like the Michael C. Hall as Dexter.